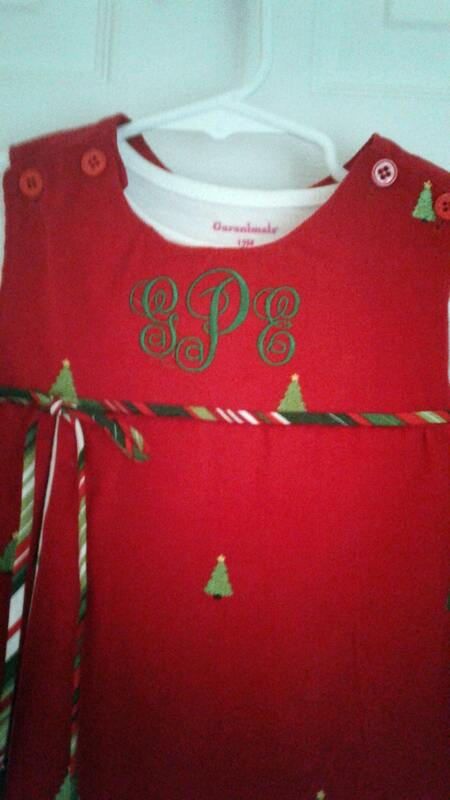 Jumper is made of a Christmas red 21 wale cotton corduroy fabric. 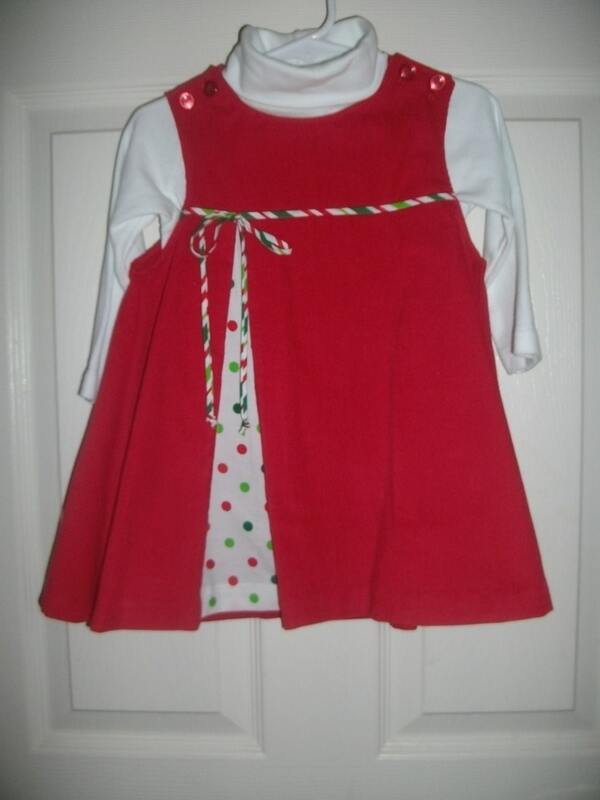 It is high waist with a front inverted pleat made of a white cotton with red and green polka dots. This jumper buttons at the shoulders with red buttons. 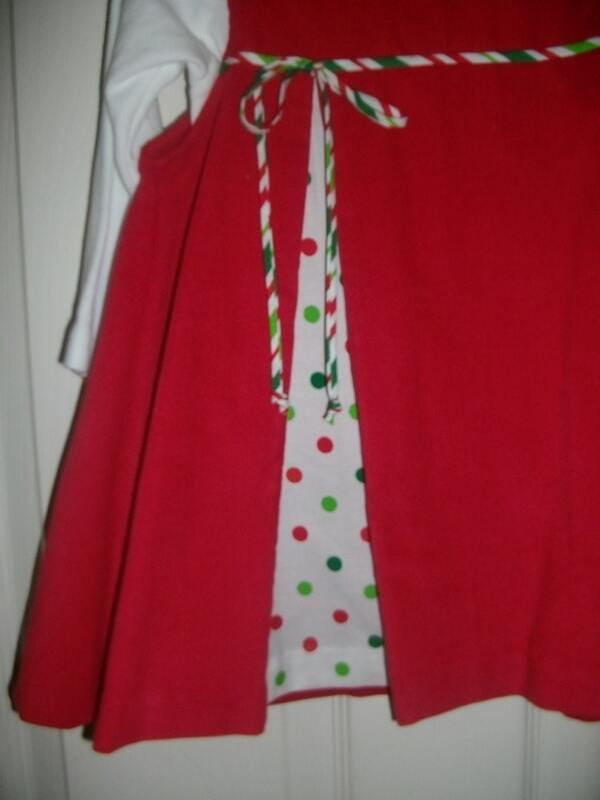 Waist is trimmed with red an green spaghetti bias and bow.